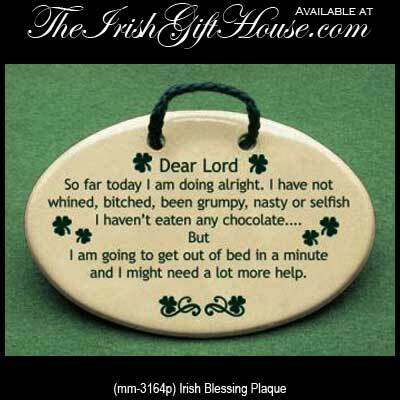 This Irish blessing plaque features a humorous request for God and it is enhanced with shamrocks. Dear Lord So far today I am doing alright. I have not whined, bitched, been grumpy, nasty or selfish I haven't eaten any chocolate… But I am going to get out of bed in a minute and I might need a lot more help.